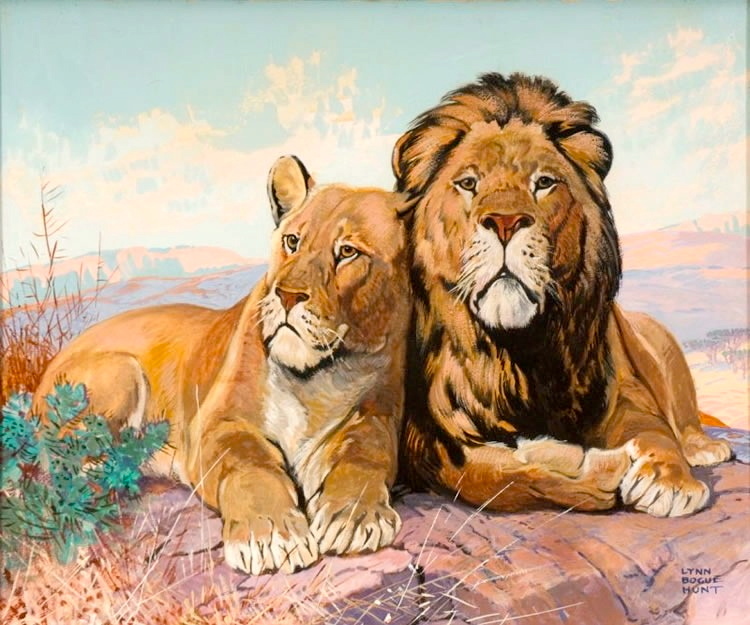 Lynn Bogue Hunt painted pictures of wildlife almost exclusively. Although he occasionally included human figures in his illustrations, he felt more at home with animals, fish, or birds, which he painted with authority and dramatic color. Born in Honeoye Falls, New York, Hunt became interested in wildlife at an early age. He studied the anatomy of birds and animals, and learned taxidermy. Some of Hunt’s first illustrations were done for Outing magazine. He subsequently worked for a wide range of publications and manufacturers of arms and ammunition, but for many years was closely identified with Field & Stream magazine.